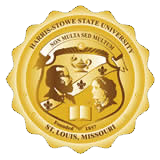 The General Education Curriculum at Harris-Stowe State University is designed to assist students in developing the competencies in foundational knowledge and skill. d. to make decisions and act as a responsible, educated individual. Communicating-To develop students’ effective use of the English language as well as other symbolic systems essential to their success in school and in the world. Students must be able to read and listen critically and to write and speak with thoughtfulness, clarity, coherence and persuasiveness. High-Order Thinking-To develop students’ ability to distinguish among opinions, facts and inferences; to identify underlying or implicit assumptions; to make an informed judgment and to solve problems by applying evaluative standards. Managing Information-To develop students’ abilities to locate, organize, store, retrieve, evaluate, synthesize and annotate information from print, electronic and other sources in preparation for solving problems and making informed decisions. Valuing-To develop students’ ability to understand the moral and ethical values of a diverse society and to understand that many courses of action are guided by value judgments about the way things ought to be. Students should be able to make informed decisions by identifying personal values and the values of others and by understanding how such values develop. Students should be able to analyze the ethical implications of choices made on the basis of these values. Humanities and Fine Arts-To develop students’ understanding of the ways in which human beings have addressed their condition through imaginative work in the humanities and fine arts; to deepen their understanding of how that imaginative process is informed and limited by social, cultural, linguistic and historical circumstances and to appreciate the world of the creative imagination as a form of knowledge. Mathematics-To develop students’ understanding of fundamental mathematical concepts and their applications. Students must develop a level of quantitative literacy that will enable them to make decisions and solve problems which could serve as a basis for continued learning. The mathematics requirement for general education is College Algebra or a course for which College Algebra is a prerequisite. Natural and Physical Sciences-To develop students’ understanding of the principles and laboratory procedures of life and physical sciences and to cultivate their abilities to apply the empirical methods of scientific inquiry. Students must understand how scientific discovery changes theoretical views of the world, informs our imaginations and shapes human history. Students must also understand that science is influenced by historical and social contexts. While not all courses will develop all needed competencies, all competencies will be met at the completion of the General Education requirements.